If you’re seeking an IT position in Vancouver, congratulations – whenever you send an application, you’re competing with only 10 other aspiring employees, according to new data from staffing firm Randstad Canada. Ditto if you happen to live in Halifax, Toronto, Montreal, or Calgary, where an average of 25 job seekers respond to each IT wanted ad, the company found. Employers, of course, will be less thrilled by this news, since it means they have fewer choices among skilled tech workers, but the data confirms an industry trend seen across Canada, Randstad president Tom Turpin tells ITBusiness.ca. “I think it validated what all of us in the IT world have thought, which is that of all the job categories, there is the least amount of supply in IT,” he says. *Refers to the number of candidates applying per job posting. A lower number indicates a shortage of candidates. **The higher the number, the more difficult it is to hire candidates. Part of a wide-ranging study of Canada’s fastest-growing industries, including engineering, finance and accounting, human resources, and sales and marketing, Randstad’s data concluded that IT was the sector growing the fastest, led by nearly half a million professionals performing a wide variety of roles, with project management, software and web development, and programming analysis at the front of the pack. 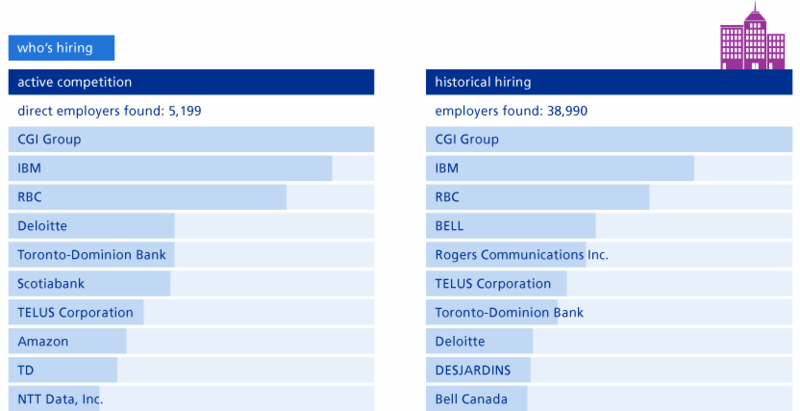 Analyzing data from Wanted Analytics, a division of workforce data firm CEB Inc., Randstad discovered an average of nearly 5200 Canadian employers posting more than 18,000 jobs in IT, and that it took only about a month and a half to fill one of them. 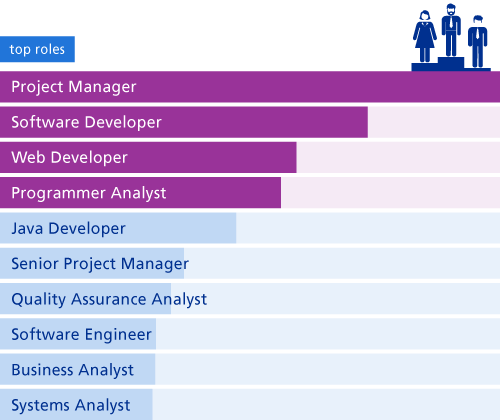 Among the many skills that employers were looking for, Randstad found technical and practical web development experience to be in particularly high demand, though third-party industry certifications were also helpful. As for why the industry is so competitive, Turpin has a few suspicions: a lack of students graduating from IT degree and diploma programs; few women enrolling in them and fewer still working in what remains a male dominated industry; the fact that it changes quickly compared to something like HR, which on a fundamental level has remained more or less the same for 50 years, he says, while many of the newest, most cutting-edge jobs are in IT. You can check out Randstad’s tech industry data, which includes average salary information for Canadian IT workers across the country, here.